MacPhail Opens Tasting Lounge at The Barlow in Sebastopol The opening coincided with the recent West of West Festival held at The Barlow in Sebastopol. The tasteful design incorporates all reclaimed woods and steel, in keeping with the theme of The Barlow which once was an apple processing plant. The interior focal point is artist Richard Von Saal’s 30-foot tall sculpture of welded wagons, his interpretation of MacPhail wine being poured from a bottle. The Tasting Lounge is open daily from 11:00 to 6:00, and will stay open on Thursdays, Fridays and Saturdays until 8:00 offering wines by the glass for The Barlow’s weekly street fairs. Reservations are suggested (707-824-8400) for the various tasting options. Food pairing options will be offered soon. One For All Gabriel-Glas Wine glass producers, namely Riedel, urge consumers to have a different glass for each varietal. 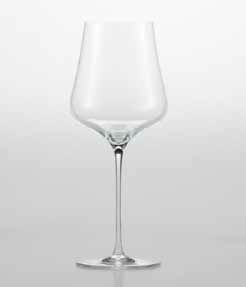 Since I drink almost solely Pinot Noir, sparkling wine and Chardonnay, my preference is a single glass: the Zalto Burgundy glass. Swiss German wine critic René Gabriel, the man behind the new “universal” wine glass from the Austrian company Gavriel-Glas, has created a wine glass that is compatible with every wine, be it white, red, sparkling or dessert wine. Some sommeliers swear by it, saying that it works with every wine. The Gabriel-Glass is designed with a broader base at the bottom of the glass, giving the wine more surface to air contact permitting the aromas and flavors to emerge, and a conical shape at the top of the glass acting as a “bouquet driver.” The Gabriel-Glas is sturdy and dishwasher safe and should be attractive to restaurants. The lead-free crystal wine glass was first introduced into the United States at the end of 2012. There are two options: the mouth-blown “Gold Edition” glass that retails for $55 and the molded “StandArt” glass that retails for $29. The Gabriel-Glas is sold at many retail stores in the United States. I personally have not tried the wine glass. 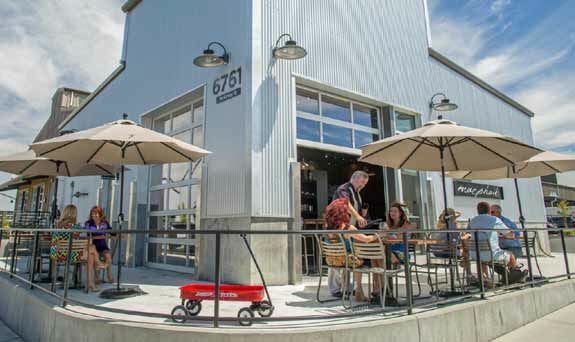 Fogline Vineyards Opens New Winery and Tasting Room Proprietor Evan Pontoriero announced that his winery, Fogline Vineyards, has leased a property at 875 River Road in Fulton, CA, that was Saralee Knude’s farmery building that had sat empty for 13 years. It was originally built for Fulton Valley Cellars in 1984 where Rod Berglund was the first winemaker. George Davis of Porter Creek and Bob Mueller of Mueller Winery made wines there as well. Robert Mondavi eventually acquired the facility but was unable to get the permits needed to expand the site into a large winery. The new owners, Spring Hill Church, agreed to lease the property for its original use. Evan said they have renovated the building to incorporate a tasting room and will have a Bocce court and picnic table out front. The wine production facility will be ready for the 2014 harvest. Fogline Vineyards produces Pinot Noir from the Fogline Estate Vineyard located on Sonoma Mountain in the Petaluma Gap region of the Sonoma Coast as well as neighboring vineyards in that region. The 2012 wines are reviewed in this issue and are superb. Visit www.foglinevineyards.com. Williams Selyem in the News At the recent Central Coast Wine Classic, Blake Brown & Roelanda Genn of Santa Barbara, who are consummate wine aficionados, and Burt Williams & Rebecca Aff of Montecito, along with San Ysidro Ranch, offered an auction item that included a four course dinner for six people in the private dining room at the Old Adobe of the San Ysidro Ranch featuring wines that Burt Williams Crafted at Williams Selyem. Burt agreed to attend. The wines included 2008 Williams Selyem Blanc de Noir Drake Estate Vineyard, 1992 Williams Selyem Allen Vineyard Chardonnay (magnum), 1992 Williams Selyem Ferrington Vineyard Pinot Noir, 1992 Williams Selyem Russian River Valley Pinot Noir, 1994 Williams Selyem Ferrington Vineyard Pinot Noir, 1995 Williams Selyem Allen Vineyard Pinot Noir, 1996 Williams Selyem Precious Mountain Pinot Noir, 1997 Williams Selyem Ferrington Vineyard Pinot Noir, and 1991 Williams Selyem Mendocino County Zinfandel. After feverish bidding, the lot sold for $16,000! On June 19, 2014, at the Kanpai Lounge in the Hotel Nikko in San Francisco, five judges from the San Francisco International Wine Competition convened to taste a vertical of 8 vintages of Williams Selyem Allen Vineyard Pinot Noir. Howard Allen, who died in 2013, owned the property on which Williams Selyem made their wines after their start in a garage in Fulton. Allen Vineyard was planted to Pommard, Dijon 115, and Wente clones. The vineyard was farmed and managed by Joe Rochioli, Jr.. All bottles were obtained directly from the Williams Selyem winery. The tasters were Fred Dame, Marcus Garcia, Gregory Walter, Dr. Rowald Hepp, and Anthony Dias Blue. The results were posted in The SOMM Journal (August/September 2014). The tasting panel concluded the 2004 Williams Selyem Allen Vineyard Pinot Noir was a “classic.” The wines: 1995, score 93, Drink now-2017; 1996, score 92, Drink now-2019; 1999, score 88, Drink now-2017, 2002, score 94, Drink now-2024; 2004, score 97, Drink 2016-2026; 2007, score 91, Drink now-2018; 2009, score 98, Drink now-2030; 2010, score 95, Drink now-2024. New releases are about $80, with prices on the secondary market about $150 or more. Eric Kent Wine Cellars Celebrates 10 Years of Wine & Art You may not read this notice before the event, and it is too late to RSVP, but you can continue to drink the wines and obtain the book. 2014 marks the release of the 10th vintage of Eric Kent, founded by Kent and Colleen Humphrey. I have known and followed Kent Humphrey and his Eric Kent Wine Cellars wines since shortly ofter his first release, and I am very happy to see him achieve his much-deserved success. His wines are in great demand and loved by critics, and he is now a consulting winemaker for several other small labels as well. On August 16, Kent Humphrey is hosting a wine tasting and 10-year retrospective art show featuring over 70 pieces of original art or prints that have graced the Eric Kent labels over the past 10 years. The event is open to trade and media from 2:00 PM to 4:00 PM, and then Eric Kent mailing list members, artists and other VIP guests from 4:00 PM to 9:00 PM. Kent has published a beautiful new coffee table book, Eric Kent: Celebrating 10 Years of Wine and Art, which contains not only all of the original art featured on the Eric Kent labels, but the milestones reached at each vintage set against photographs that tells the story of Eric Kent Wines. Jason Kesner Appointed New Winemaker at Kistler Vineyards Jason started out as vineyard manager for Hudson Vineyards where he caught the eye of Steve Kistler, a winemaking legend who sources fruit from Hudson Vineyards. In 2008, Jason became assistant winemaker at Kistler, and recently was anointed winemaker there. Jason has made his own wines in tiny quantities for years under the Kesner label. 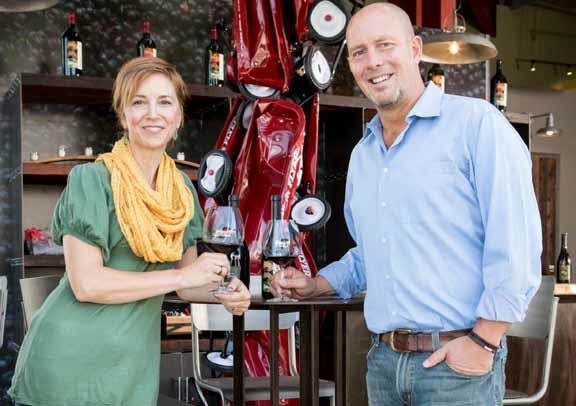 Erin Miller new Twomey Pinot Noir Winemaker The Duncan family of Silver Oak Cellars and Twomey Cellars announced in June the appointment of Nate Weis as Winemaker for Silver Oak and Erin Miller as Pinot Noir Winemaker for Twomey Cellars. Erin, formerly of Evening Land Vineyards, will report to longtime Silver Oak and Twomey Director of Winemaking Daniel Baron. Erin previously worked for Hartford Family Winery and Kendall-Jackson’s Vinwood Cellars. She earned her MS from UC Davis. She has a passion for vineyard-driven winemaking and a reputation for crafting site-specific Pinot Noirs. Willamette Valley Wineries Pinot in the City. 66 Willamette Valley wineries are on the road from Oregon to Seattle, Washington September 11, 2014. The wines will be served with hors d/oeuvres from Herban Feast at their unique Sodo Park venue just south of downtown Seattle. For tickets ($65), visit www.eventbrite.com. 24th Annual Oregon Grape Stomp Championship & Harvest Celebration Visitors from all over the country come to compete in teams of two (stomper and swabbie) for the title and earn a trip to Santa Rosa, California for the World Championship Grape Stomp. 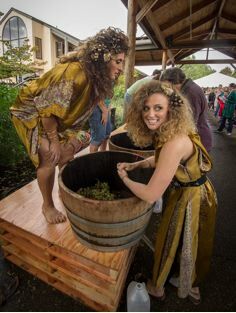 The event will be held Saturday and Sunday, September 20 and 21, from 11:00 AM to 6:00 PM at the Willamette Valley Vineyards Estate Vineyard. The founder of Willamette Valley Vineyards, Jim Bernau, will be competing with Mrs. Oregon on Sunday at 3:30 PM. Kids are invited to participate. Admission is $10 and includes wine tasting and live music. There is also a $10 fee per team to stomp. Reserve a stomping time at 1-800-344-9463. Wally’s Offers Many Cult Pinot Noirs If you are not on the mailing list for cult and highly desirable Pinot Noirs, you have to turn to the auction or secondary market. Wally’s Wine & Spirits, one of Los Angeles’ top wine retailers, has recent entered the auction market and limited their Pinot Noir wine selection to the hardto- get labels. You pay dearly to buy them, but it is impossible to find another retailer with such a broad selection of these special wines. Burgundies too. Consider the labels among the 326 domestic Pinot Noir offerings: Aubert, Barden, Donum Estate, Eric Kent, DuMOL, GoGi, George, Kistler, Kosta Browne, Littorai, Marcassin, Morlet, Paul Lato, Peter Michael, Rivers-Marie, Rochioli, Rhys, Sea Smoke, Skywalker Vineyards, Williams Selyem. Visit www.wallywine.com. Which States Drink the Most Wine? The Drinks Business (July 30, 2014) reported statistics released by the Beer Institute and reported by The Washington Post, that indicated New Hampshire consumes more alcoholic beverages than any other state. This may due to the absence of sales tax and the fact that about half the state’s alcohol is sold to residents of other states. 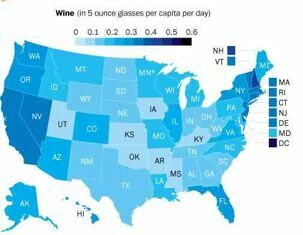 North Carolina, Montana, Nevada and Vermont were next in that order considering per capita consumption of booze. Washington D.C. consumes the most wine with each person drinking an average of over a half of glass of wine per day. New Hampshire again took second place with Massachusetts and Vermont fighting it out for third and fourth. Utah comes up last in all categories of alcohol consumption. King Estate Pushes For Expansion of Willamette Valley AVA King Estate, Oregon’s largest winery, is located just south of Eugene outside the Willamette Valley AVA boundaries established in 1982. Understandably, King Estate wants to use Willamette Valley in its promotion and marketing materials rather than simply “Oregon.” The winery is but 50 feet outside the AVA. The new proposal would expand the Williamette Valley AVA southern boundary by about 5 miles. Oregon Wine, the App, Version 2.0 Katherine Cole, the wine columnist for The Oregonian newspaper and MIX, Portland’s Magazine of Food + Drink, has published this app in partnership with Sutro Media. Designed for both iPhone and iPad, it is available from iTunes for $3.99. The app includes touring and travel tips, places to sleep and eat in wine country, Cole’s personal impressions of wineries, and her wine recommendations for bottles to try. 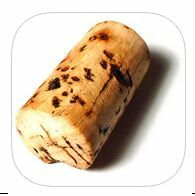 The app links to each winery’s web, Facebook and Twitter pages when available and offers hours and tasting fee information. The latest edition has a number of new iOS bug fixes. Jackson Family Wines’ Virtual Vintner According to Shanken News Daily, the La Crema brand has launched an interactive digital program that will allow consumers to participate in a wine development. The Virtual Vintner allows consumers to vote on winemaking decisions such as varietal, appellation, vineyard source, barrel management, wine name and label design. The resulting wine is expected to be released in the fall 2015. This is a clever way to market the brand and attract social media devotees. Sign up at www.lacrema.com.